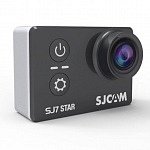 SJCAM SJ7 Star – native 4K resolution! 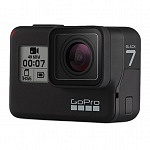 SJCAM SJ7 Star uses a 12 MP Sony Sensor (IMX117), the same sensor used in GoPro Hero 4 black. 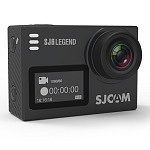 The alongside launched SJ6 Legend features a 16 MP Panasonic sensor, but is not capable of native 4K recording. 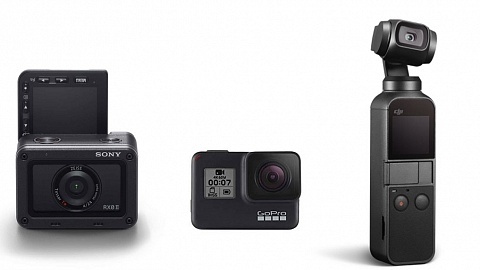 The Sony IMX117 sensor is also used in the new SJ8 Plus, Firefly 8S camera, THIeye T5 or GoPro Hero4 black. 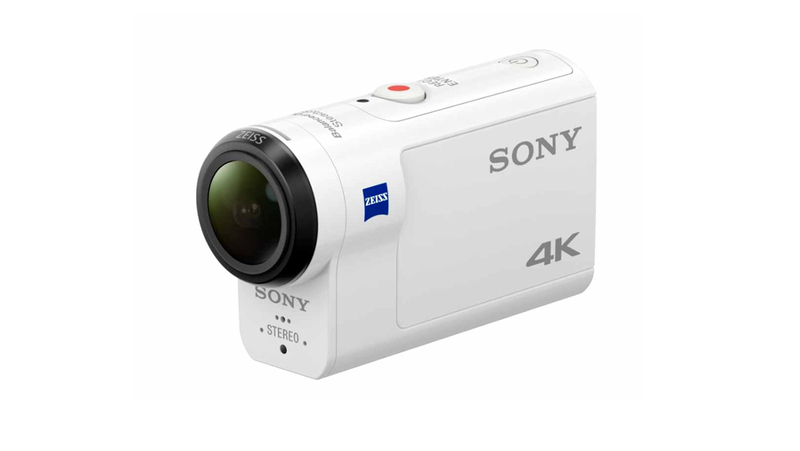 YI 4K features the superior Sony IMX377 sensor, same as the new SJ8 Pro. 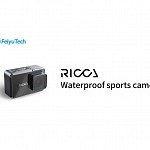 Chipset will be an Ambarella A12, which can be found other cameras, such as EKEN H8 Pro & Andoer C5. 4K (3840 x 2160) – 30 fps – native! 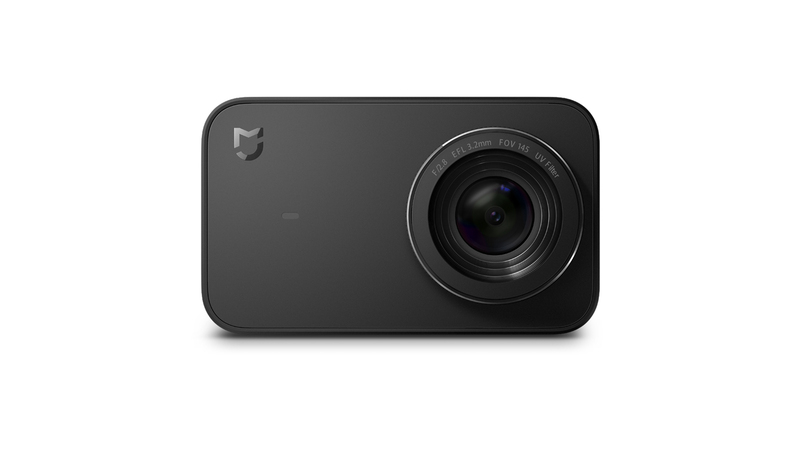 .mp4 format and h.264 codec. 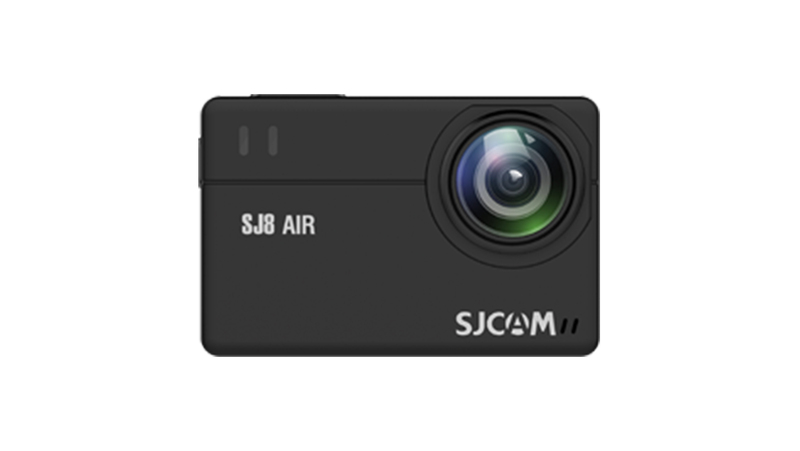 SJCAM SJ7 Star is equipped with Electronic Image Stabilization (EIS) for smooth videos without vibrations and shaky videos. 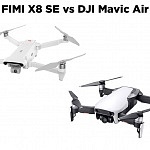 It uses a Gyro sensor combined with an acceleration sensor to perceive and stabilize vibrations and shaking during a motion. 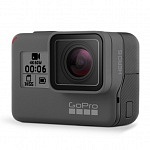 Stabilisation is available up to 1080p resolution with 60fps. 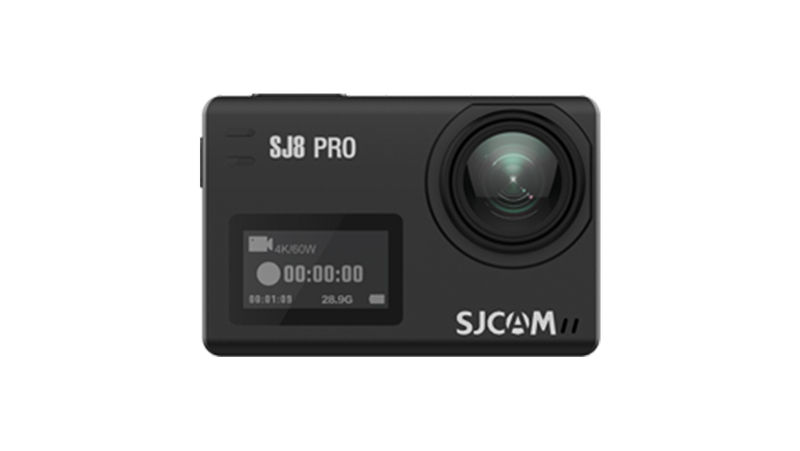 The new SJ8 Pro and SJ8 Plus feature EIS also in 4K resolution. 12 MP is the sensor size, so all resolutions above will be interpolated. Format is .jpg. 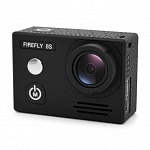 166 Degree Wide-angle Lens, f=3mm, F/2.5 aperture. as well as mini USB port to copy files and for charging. 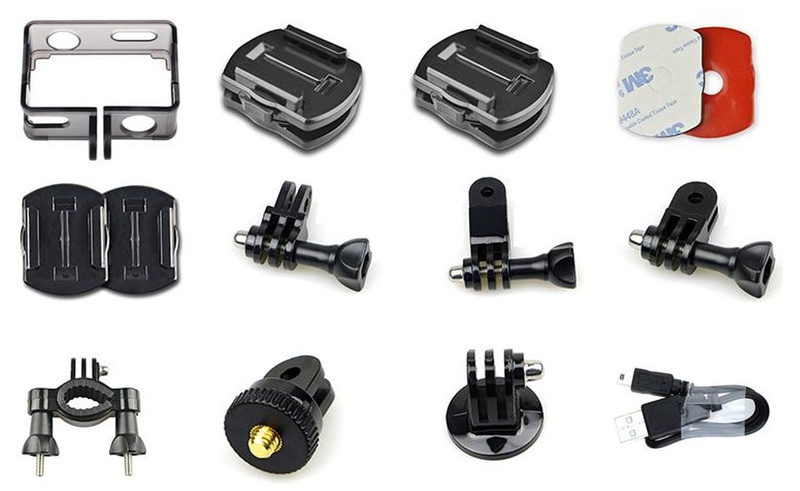 Mic-in via mini USB is available, so you can use an external microphone! 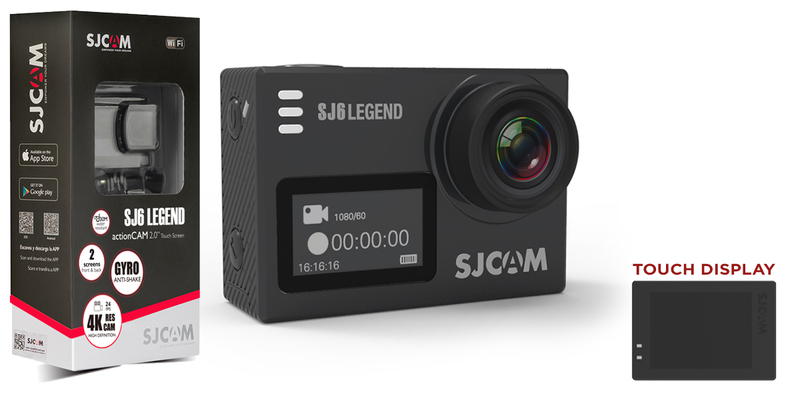 SJ7 does not feature a 1/4″ tripod thread on the bottom compared to SJ6 Legend. 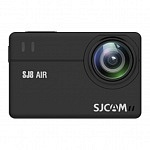 SJCAM SJ7 Star supports microSD cards up to 128 GB. 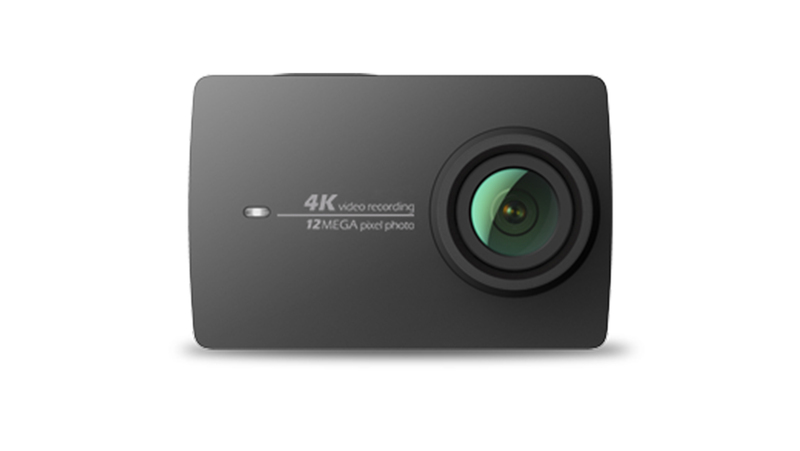 Class 10 (U1) is recommended, (U3) for 4K recording. 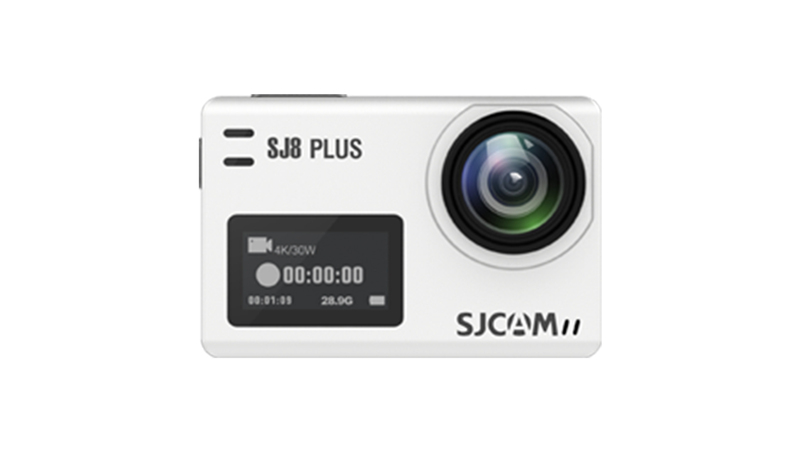 On the backside of SJCAM SJ7 Star you will find a large 2″ live-view touch LCD display (240 x 320)! 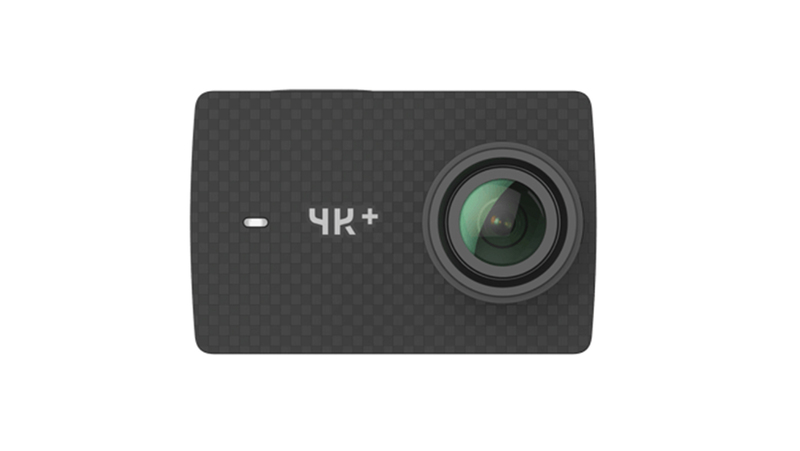 The camera includes a removable 1000 mAh battery. 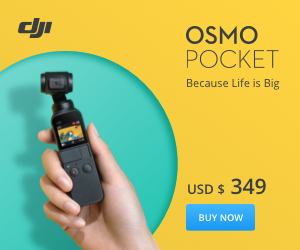 Currently I’m not sure if it is the same shape as the 900 mAh batteries used in SJ4000 & SJ5000 series cameras. 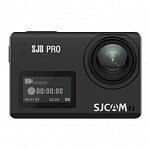 SJCAM SJ7 Star comes with a frame to mount it on any GoPro mount, Clip mounts, adhesive mount, tripod adapters and cable. 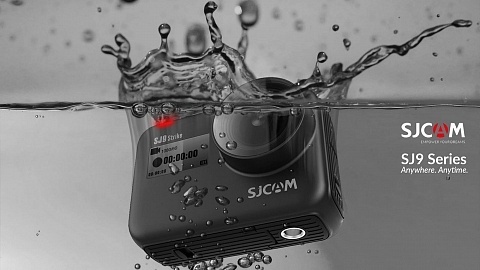 The 30m underwater case is also included, but not shown in this picture. 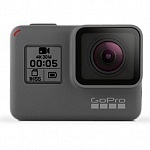 Size: 58 x 41 x 20.5mm – which is a little smaller than the SJ6. 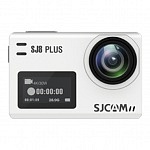 Similar to the SJ6 the SJCAM SJ7 Star also has three buttons, but in contrast on different positions. 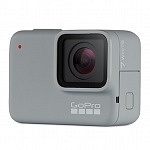 Maybe this is due to the aluminum body of SJ7 Star, whereas SJ6 Legend has a plastic body. 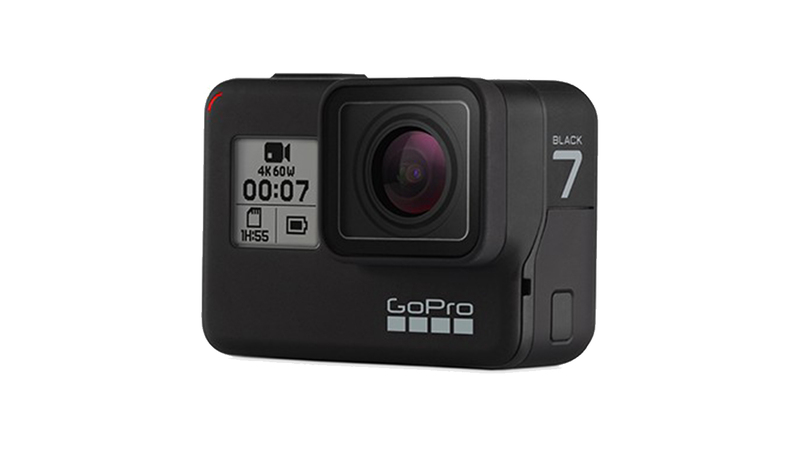 Power & Setup buttons are located on the front side of SJ7. On top of the camera there is a record/shutter button. On the side there are ports for micro USB, micro HDMI & microSD card slot. 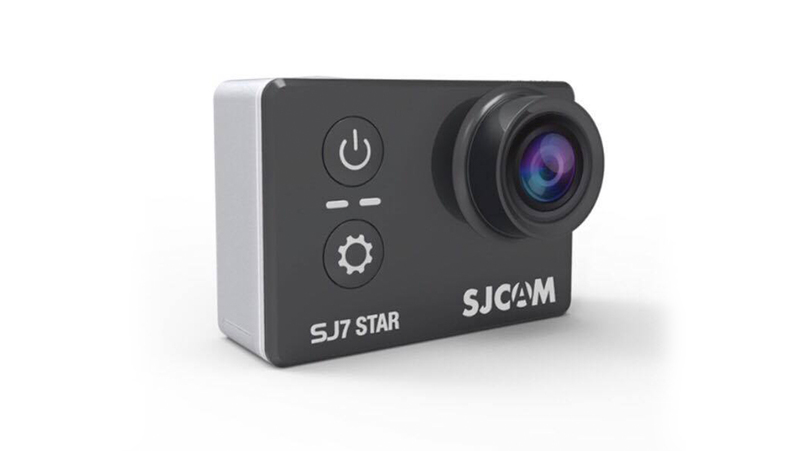 In contrast to SJ6 the SJCAM SJ7 Star doesn’t feature a front data display. 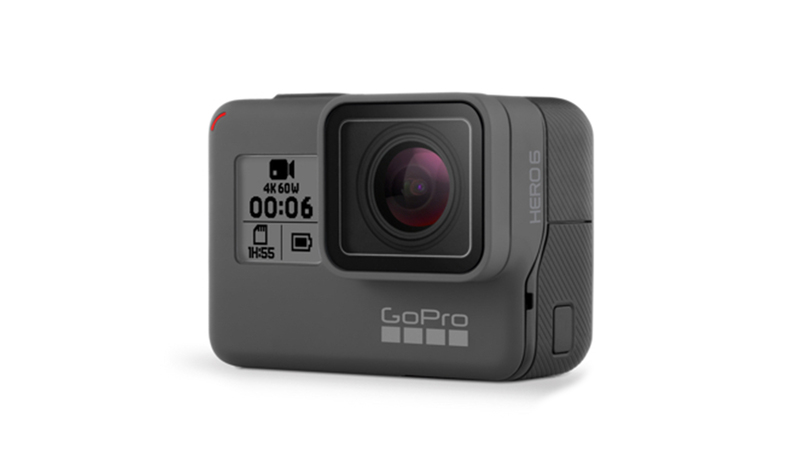 Both cameras feature a 2″ live view touch display on the backside. The following image is an illustration of the home screen. 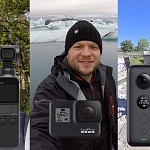 A lot of small icons display the current settings of the camera including the operation mode, resolution, frame rate, image quality, FOV, date & time. Wiping down get’s you to the “toggles screen” where you have a button for quick access to photo & video library, remote control & wifi settings. 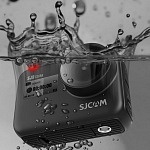 Photo Time-lapse – to create a time-lapse with several individual photos as result. Some interesting available features are long exposure, to get great night shots. Manual settings include White Balance, EV Exposure Value correction, ISO (sensor sensitivity) and metering. 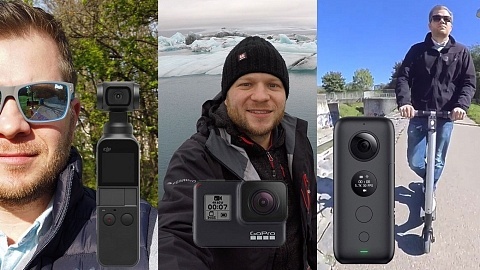 Not all action cams offer such a variety of settings. 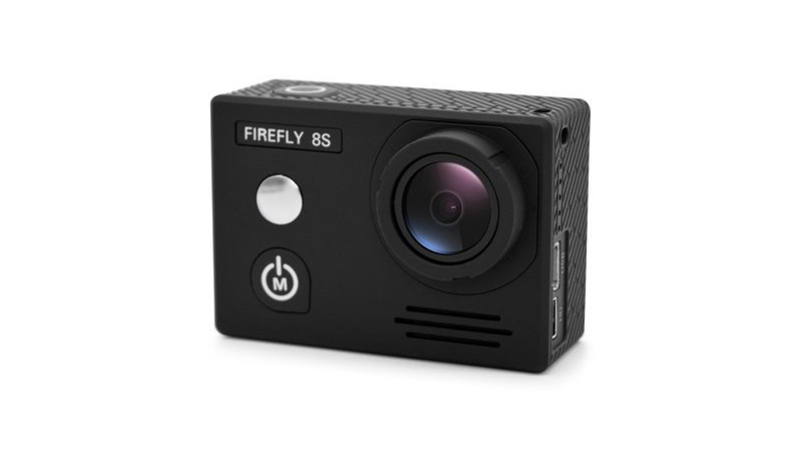 Some of the settings I want to highlight are: FOV (field of view) which you can narrow, motion detection, which starts recording when a motion is detected within the image. Loop recording is available which saves videos in shorter files and overwrites the oldest. 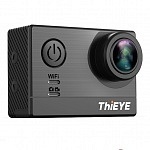 That’s beneficial when you use it as dash cam. 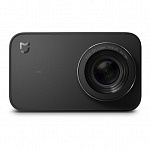 For that purpose you can also switch on Car DV and and Delay off, so the camera starts when connected to a power source and turns off when disconnected. 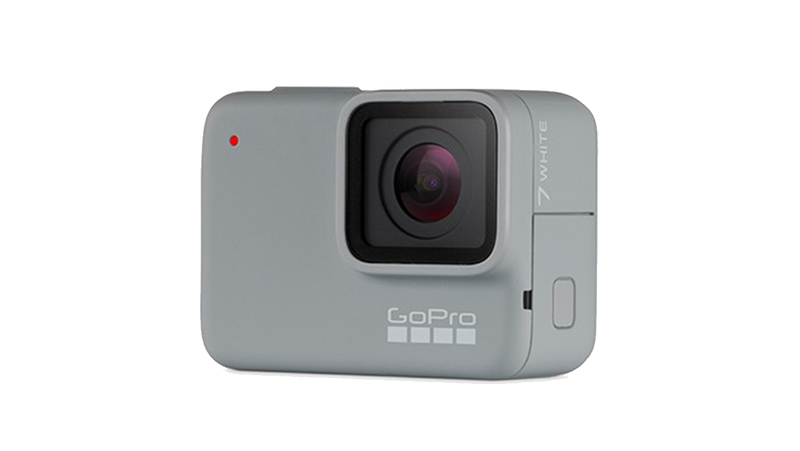 Similar to photo mode the manual settings include White Balance, EV Exposure Value correction, ISO (sensor sensitivity) and metering. You can switch between PAL and NTSC to either record 30fps or 25fps (or a multiple of that). You can personalize your SJ7 to your demand and set LED lights, Buzzer sound and shut off features to your demand. A very long list of menu languages is available to select: English / French / German / Spanish / Italian / Portuguese / Simplied Chinese / Japanese / Traditional Chinese / Russian / Korean / Romanian / Polish / Czech / Slovak / Hungarian / Danish. 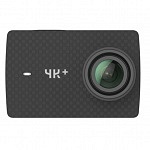 Gyro Sensor "Hypersmooth" "superior to Hero5"
Great to see SJCAM offering the first native 4K Action Camera! Who’s the competition? 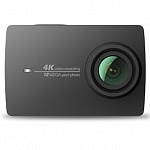 Obviously the YI 4K Action Camera; same as SJ7 Star it offers native 4K recording & a touch display. 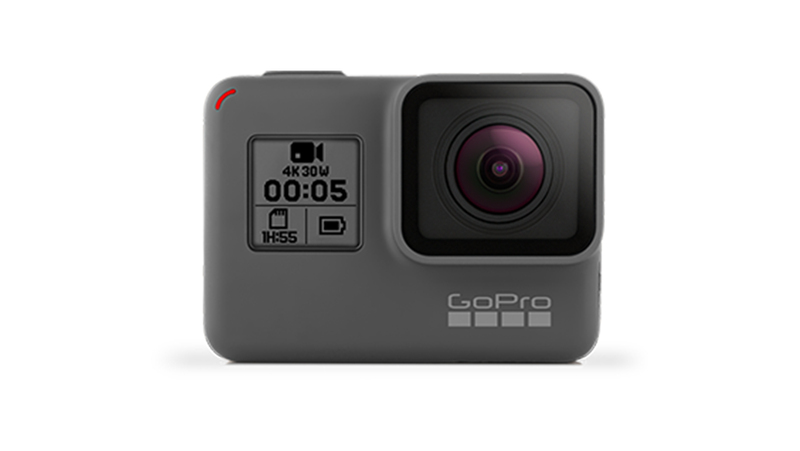 So does the new GoPro Hero 5 black, which additionally is waterproof without case for 10m. 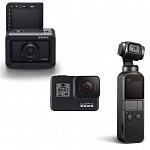 Additional competitors might be EKEN H8 Pro, which offers native 4K video recording, hence only a live view display, not touch and no image stabilization; same as the new Andoer C5. Both have less features, but a way lower price tag. 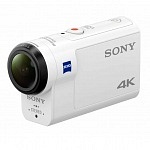 native 4K resolution and 120 fps in 1080p. 2″ touch display for easy menu navigation. 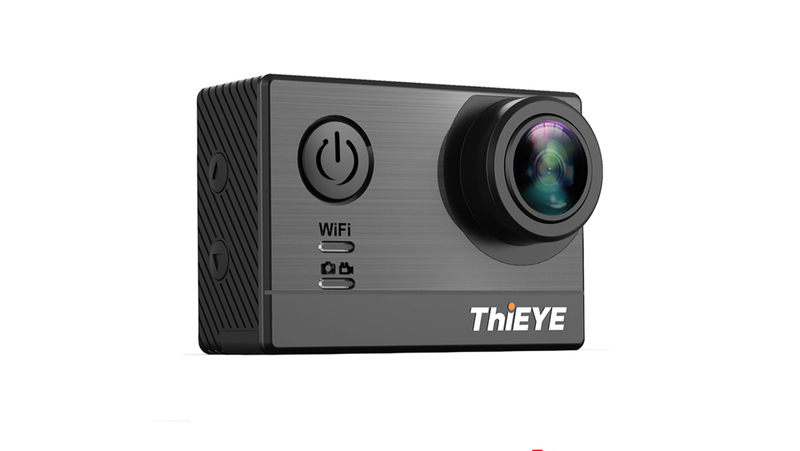 Price is high compared to competitors with similar specs like YI 4K, Andoer C5 & THIeye T5.